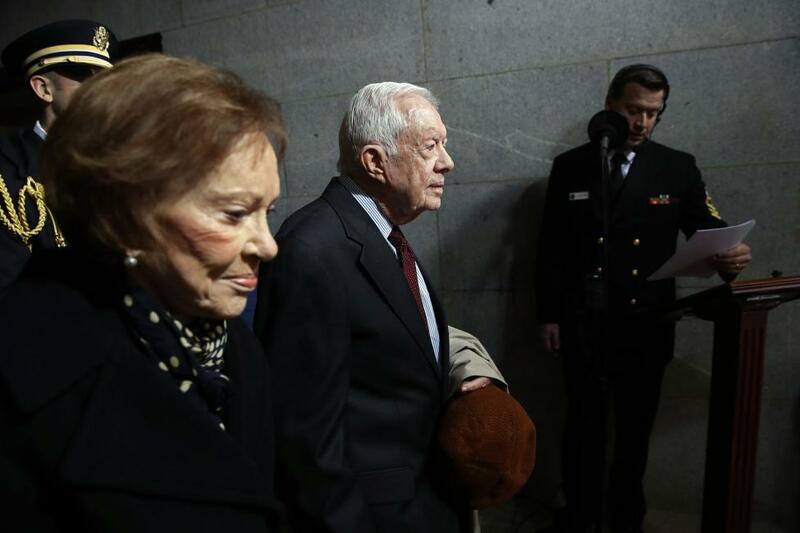 Former President Jimmy Carter has sent a letter to Georgia gubernatorial candidate Brian Kemp, urging him to resign as secretary of state. Kemp, the Republican candidate in a closely contested election against Democrat Stacey Abrams, is the chief of the state government agency responsible for the oversight of the vote. A coalition of civil rights groups sued Kemp in September to block enforcement of an "exact match" requirement, by which potential voters' names must be identical to those on their forms of identification. The suit says more than 50,000 residents are in danger of not being able to vote. The letter from Carter, Georgia's former governor, was written Oct. 22, CNN reported on Monday. "Popular confidence is threatened not only by the undeniable racial discrimination of the past and the serious questions that the federal courts have raised about the security of Georgia's voting machines, but also because you are now overseeing the election in which you are a candidate," Carter wrote in the letter also obtained by The Washington Post. "In order to foster voter confidence in the upcoming election, which will be especially important if the race ends up very close, I urge you to step aside and hand over to a neutral authority the responsibility of overseeing the governor's election." Abrams also has called for Kemp to step down from his post. The Republican, though, has refused to do so -- and said he also would not recuse himself from the process if a recount is needed. "While outside agitators disparage this office and falsely attack us, we have kept our head down and remained focused on ensuring secure, accessible, and fair elections for all voters," Kemp said in a statement. "The fact is that it has never been easier to register to vote and get engaged in the electoral process in Georgia, and we are incredibly proud to report this new record." Vice President Mike Pence, who endorsed Kemp in a July primary election, will visit Georgia this week to campaign for Kemp. President Donald Trump also is expected to visit Georgia this weekend on Kemp's behalf.